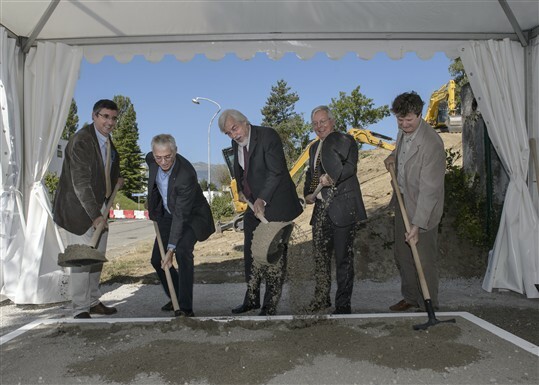 CERN-MEDICIS will use the primary proton beam at ISOLDE to produce radioisotopes for medical research. A second target will be placed after the one at ISOLDE as the high energy proton beam only deposits 10% of its intensity and energy when traversing the standard type of ISOLDE target and thus the protons passing through the target can still be used. An automated conveyor will then carry this second target to the CERN-MEDICIS infrastructure, where the radioisotopes will be extracted.